Based on a variety of memes, milk and vine takes inspiration from the bestselling milk and honey, and it's way, way, better. This is Adam Gasiewski and Emily Beck, a young couple who are first year students at Temple University in Philadelphia. Adam (19) and Emily (18) were in a Barnes & Noble bookstore a few weeks ago when they stumbled upon the bestseller book of poetry from Rupi Kaur, milk and honey. Kaur is a Canadian writer who originally self-published milk and honey on Amazon in 2014. A year later, the book was picked up by a publisher and made its way to the New York Times bestseller list where it remained for 52 weeks. After reading a few pages of the book, Adam and Emily were inspired to write their own poetry and ultimately decided to base it on the much-loved (and deceased) video platform, Vine. "We watched several hours of Vine compilations to find our favorite videos, and then used those scripts to form our book," Adam told BuzzFeed News. Adam handled the writing and formatting of the book while Emily drew illustrations. 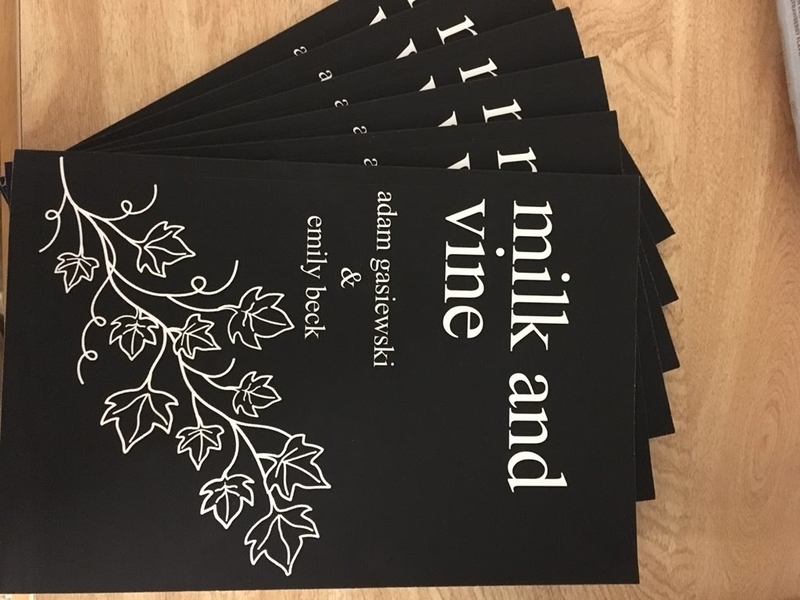 Mimicking the self-publishing format of milk and honey, Adam and Emily used Amazon to create and publish milk and vine, a collection of poems based on famous Vines. 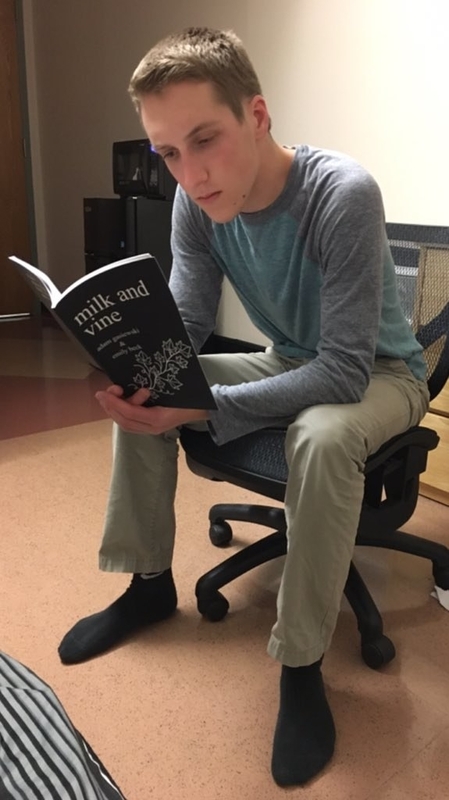 After it was published, Adam tweeted out a photo of the book and its contents, with a photo of milk and vine sitting in the fridge (get it?). Adam's tweet rapidly went viral and so far has almost 50,000 retweets. Pretty quickly, Adam and Emily realised they were on to something. "The response has been beyond anything we could've imagined," said Adam. "People on Twitter have proven to be very passionate about milk and vine, and my tweet showcasing our book went viral, and has since gained millions of views and led to hundreds of sales." Thousands of people have paid $US2.98 for milk and vine since it was first published, with some buying multiple copies. On Tuesday, Adam and Emily woke to discover their book of poetry was now ranked #1 on Amazon. It's just ahead of Diary of a Wimpy Kid and the book of photographs recently released by Obama-era White House photographer Pete Souza. We did it. Milk and Vine is the #1 best selling book in the world. I am speechless, but so proud of you all. The book was also the #1 new release in American Literature on Amazon. "We're redefining the meaning of poetry," Adam wrote in a tweet. "We're just trying to get this book into the hands of as many people as possible, to preserve the culture that Vine fostered," said Adam. You can buy milk and vine here. Now excuse me, I'm off to go self-publish a book of poetry based on my archives of dank memes. Thanks.